This would be my last full day in NYC and I had a few more stops to make. I wanted to look at the cozy Brooklyn neighbourhood one more time in the daylight. 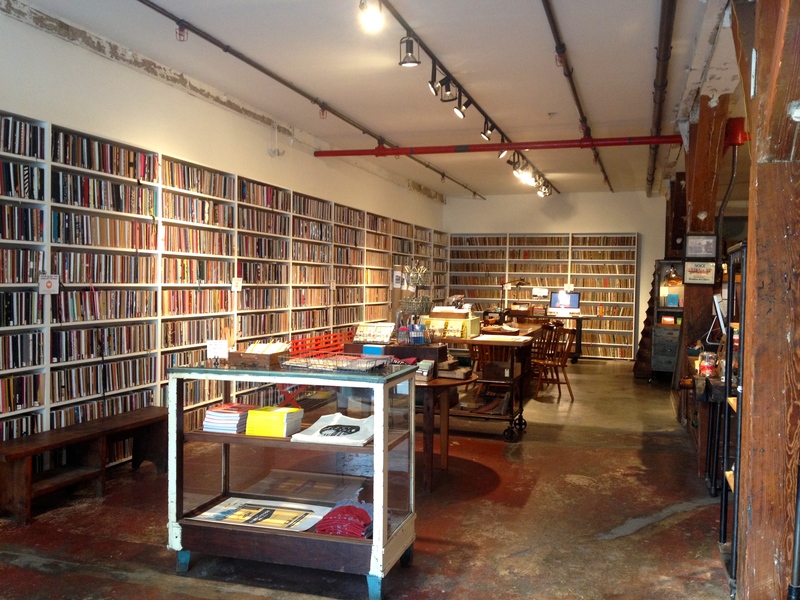 My must visit stop here was the Brooklyn Art Library – home to the Sketchbook Project and a hidden gem of interior design. I like good-looking and well put together things, so I very much enjoyed the warm light and wooden decor of the library. For a small fee you, too, can be a part of a sketchbook project and share your talent with the world. Walking out of the library I didn’t have any route to follow. Wandering is the best way to get to know the area, so that’s what I did, twisting and turning into the alleys and avenues, looking inside the little local shops and through the windows. Williamsburg is a neighbourhood with a character. A person living here is hip and likes to sit outside on the patio. I was lucky enough to witness four awesome bands performing on the street corners as well. They were finalists of “Make a band famous” contest – cool project based solely on people’s liking. The band that collects the most cash wins. I have to say that financial district was one of my least favourite areas of NYC. It appeared to me to be nothing special: skyscrapers, business people, running and loud noises of the non-stop construction work. I felt trapped in there and was happy to exit at the quay overlooking Brooklyn. 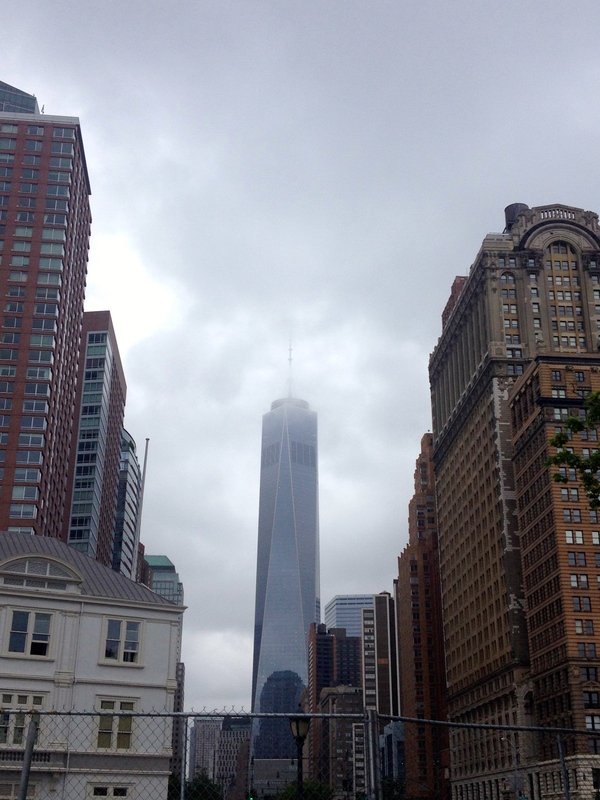 World Trade Centre was looking very nice from there and was a good reference point wherever you were in the district. It’s my observation that wherever in the world you are, if you need a mental break, head inside a store or a mall, it’s the same everywhere, it’ll make you feel at ease. I knew that Century 21, one of the most famous department stores in New York, was somewhere around, so I hurried in. About an hour later, a happy owner of a new juicy couture wallet, I strolled back out on the streets. I have to admit that by the end of day three I was physically and emotionally exhausted from all the walking and new impressions. I had to allocate a separate paragraph to the Memorial. At first, I wasn’t even going to go there. For some reason I thought that this would be nothing special and there were just so many more things I’d rather go look at. I can’t explain why I felt that way. 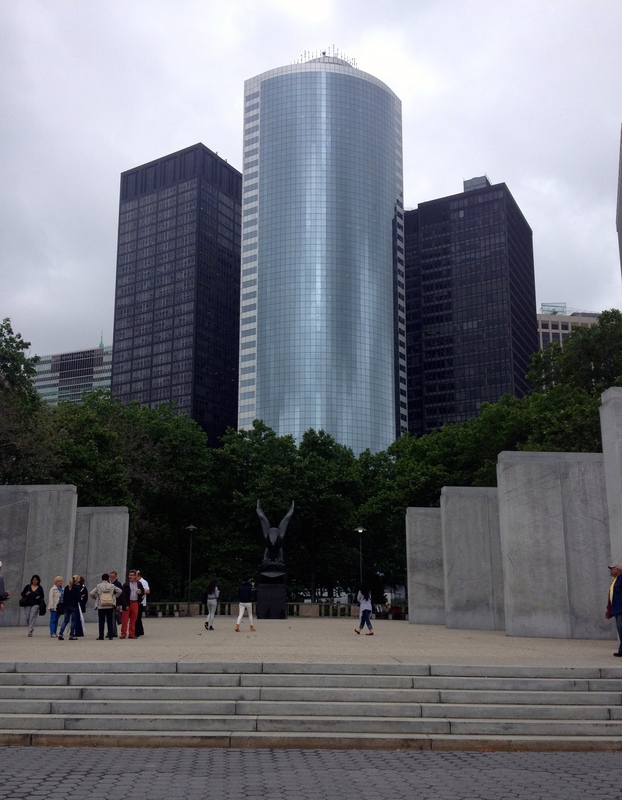 Somehow, however, walking through the Financial District I found myself right at the memorial. And I have to say, touché! This might be one of my favourite parts of my trip. You have to visit the memorial when in NYC. 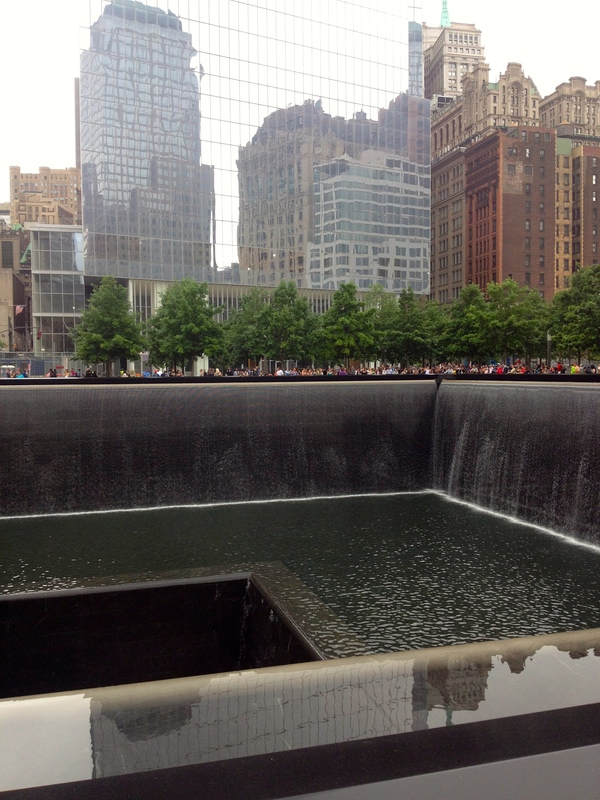 The memorial itself is spectacular piece of architecture, but that is not what makes your heart tingle. Looking at the two huge holes in the ground and imagining the unspeakable things that happened here on 9/11 makes you appreciate life and everyone in it just so much more. Endless names cut on the perimeter of the memorials also remind you about how one’s life can be cut in a matter of a second. Take a moment and say thank you for the life. 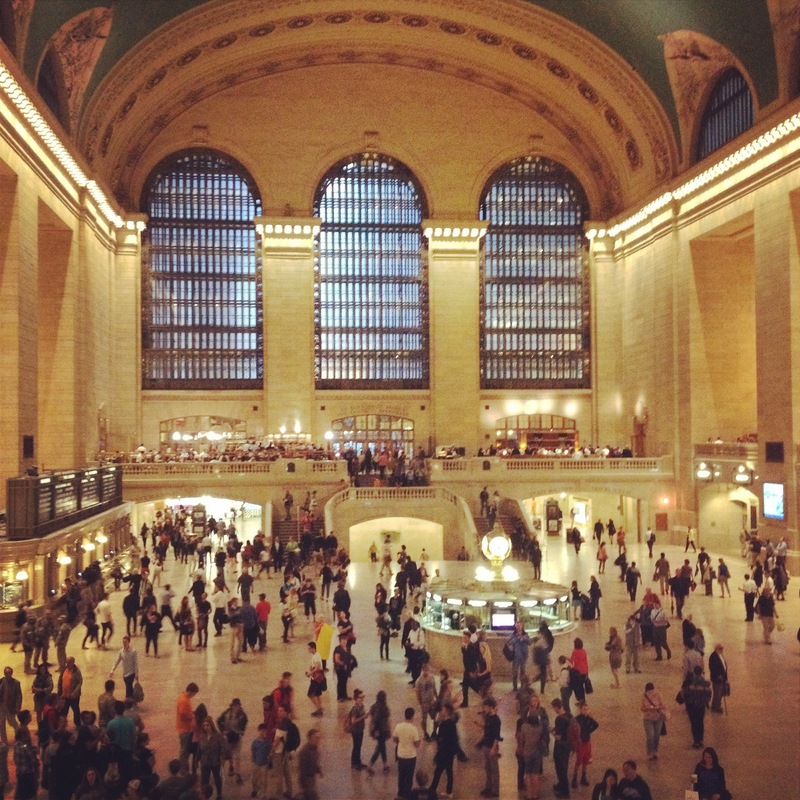 Always full of people, Grand Central impressed me more than I expected yet again. I like pleasant surprises. The station is absolutely beautiful. I stayed at the top of the stairs there for a bit looking at the constant flux of people coming in and out, rushing, minding their own business. Where are they headed to? Why are they in a hurry? Who are they so eager to meet? What’s on their busy minds? So, actually, day 4 was my last day in the city. I had my flight in the evening, though, so what I really had was the morning. After checking out of my hotel I headed in the middle of Manhattan again to grasp the last bits of New York’s craziness and to visit at least one of the museums. My choice was the Museum of Modern Art, or simply MoMa. Having love and appreciation for all things Art, I think this was a great end to my trip! I absolutely loved MoMa’s art collections wisely separated on different floors. I had the time to visit only 3 out of 6 floors, but those were amazing. The blend of painting, photography, video, design, architecture and experiential art keeps you interested and intrigued. Yay for the XXth century madness. 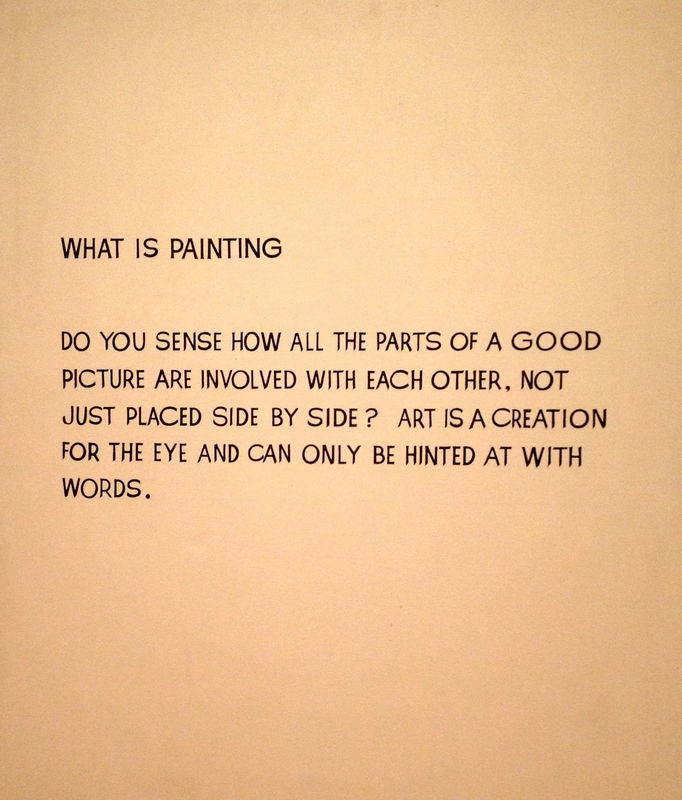 My favourite piece is below, it perfectly explains how one should view art. Therefore, no more words. It is amazing how a foreign city can become so familiar and dear having spent there only a few days. Remembering how lost I felt on my first day and how comfortable I did during my last, it is truly in the power of a person to make any city his own. Embrace being a nomad and you’ll have a home wherever you go. Next stop for me – Sicily, Italy. Stay tuned.